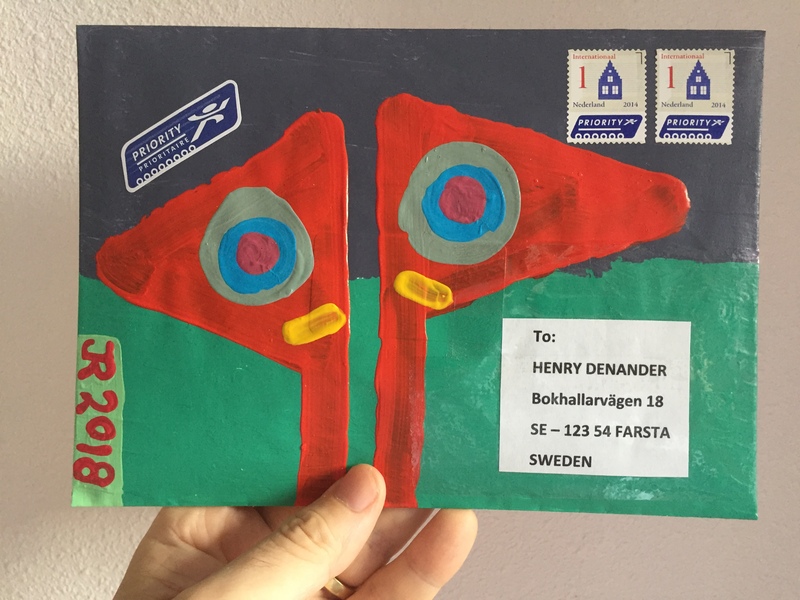 Mail to Henry Denander – Sweden – October 2018 – iuoma.org – Interested in Mail-Art? 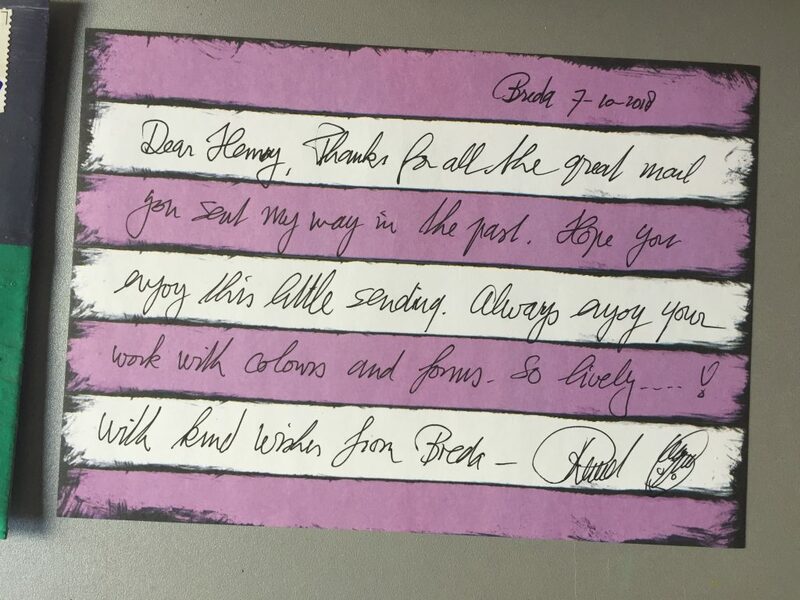 Letter to Henry Denander in Sweden (above) which was sent to him in one of my special envelopes that is acrylic painted. Hope it travels safe and he enjoys the works included inside.